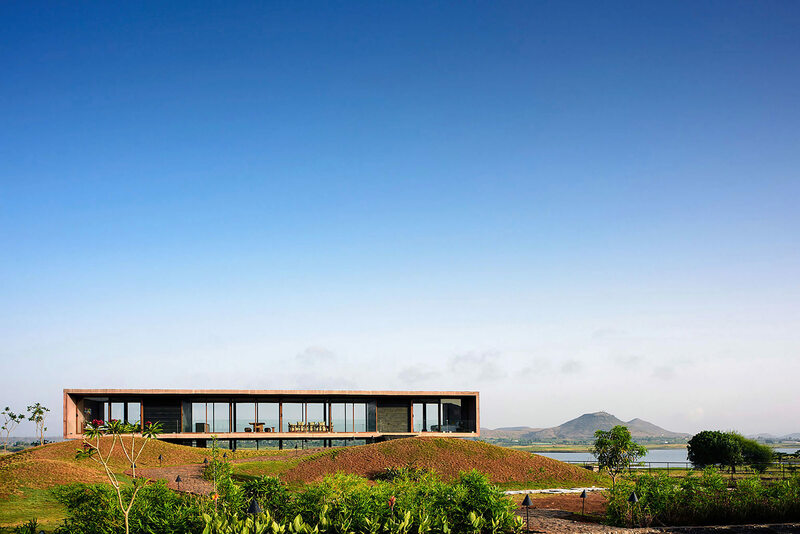 The Panorama House is situated on the backwaters located at the Gangapur Dam in Nasik. 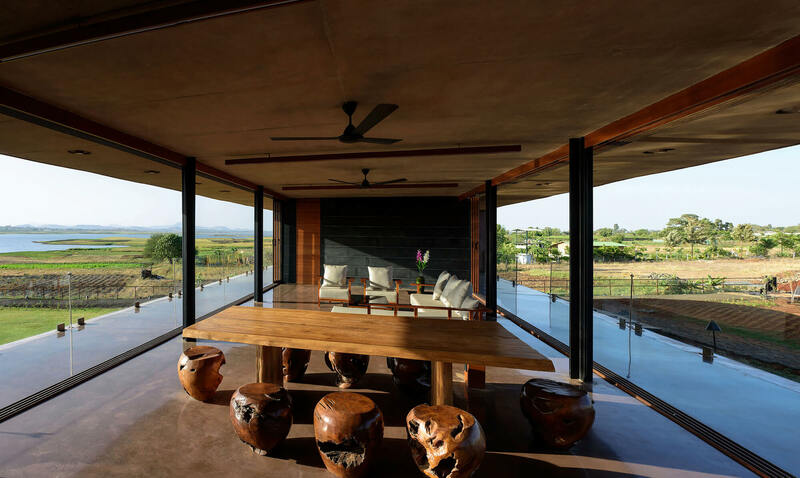 Behind it are the beautiful Sahyadri Mountain ranges that make the whole place like a dream come true. 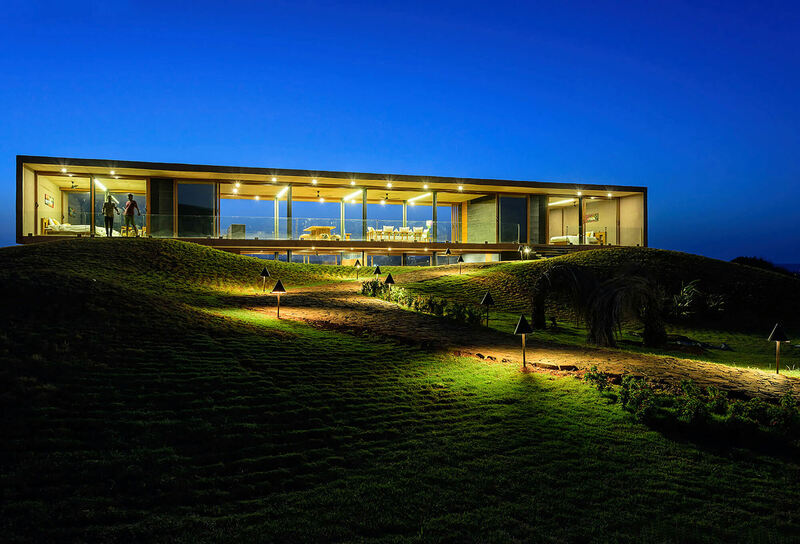 Today, here at architectures ideas we shall talk about this amazing house designed and developed by Ajay Sonar. 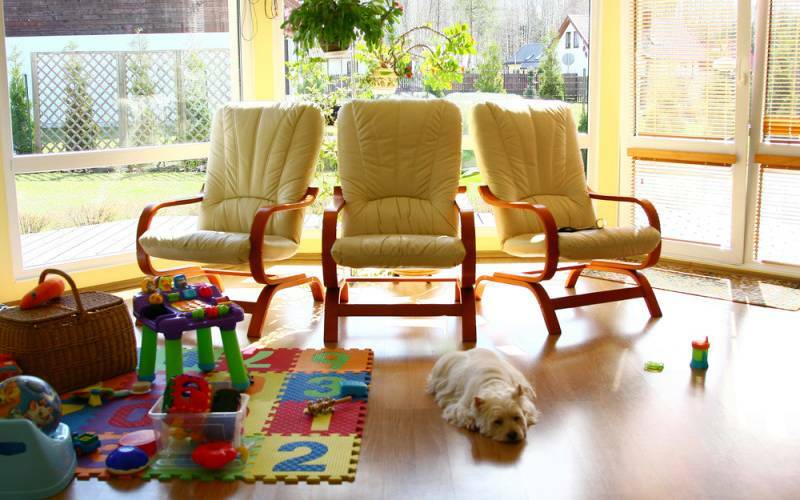 The main idea here is to work with minimum design, space making and also materials. 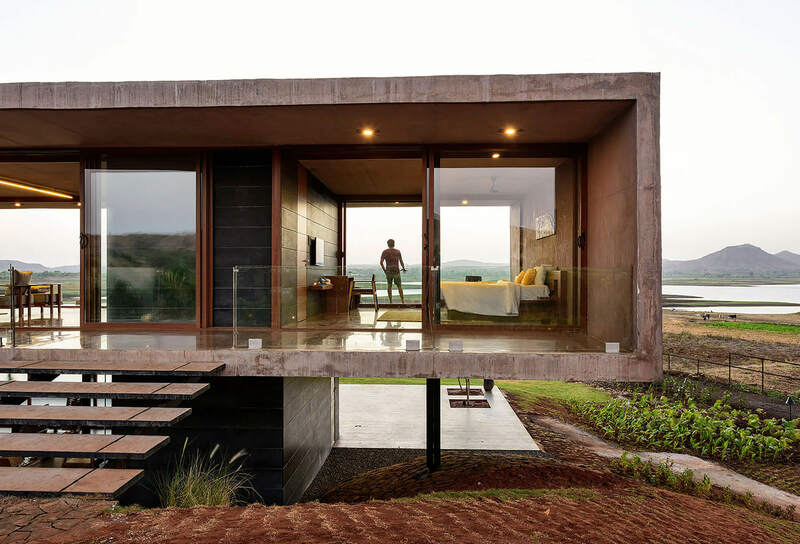 It blends exterior, interiors and nature together into one smooth flow. Such a simple and elegant design frame the idyllic image and one can enjoy the magnificent plays of weather and seasons with a picture perfect view. 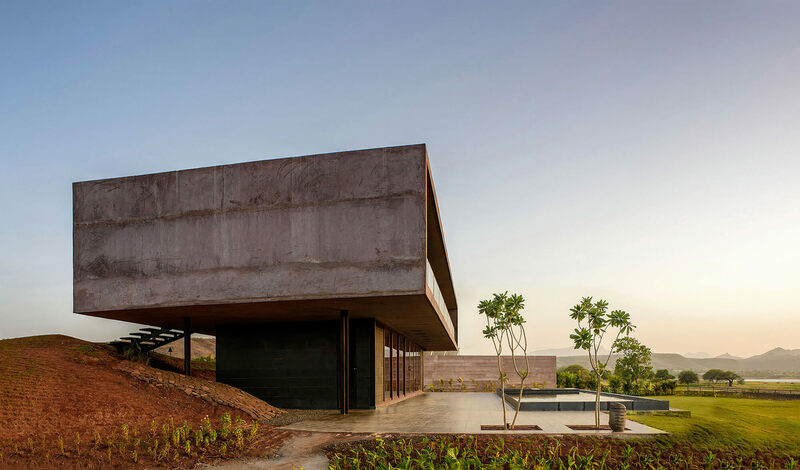 The house has a colour which matches the soil colour of the surroundings and conceived of a pigmented concrete cuboid block. There exists a strange sort of heaviness and slenderness to create a unique sub-tropical house. 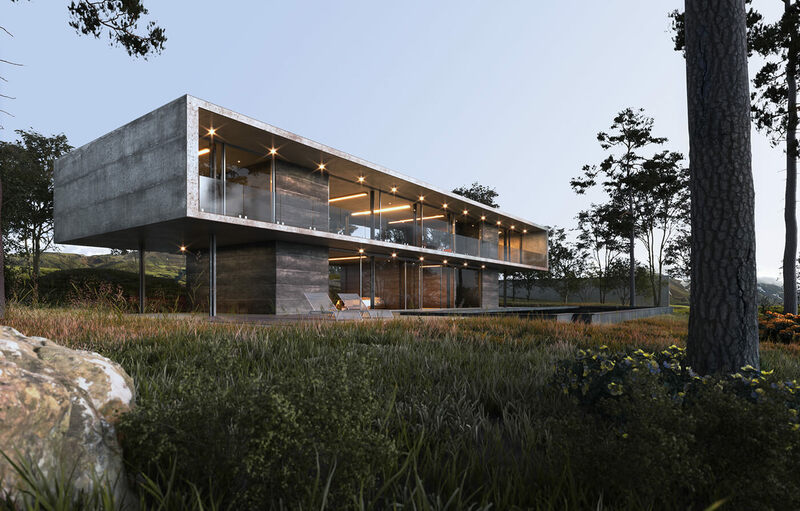 The concrete slabs are places such that the movement through the house feels more organic instead of formalized zones of movements. They delineate the space by their presence but never separate them or make someone feel like that their spaces have been separated. 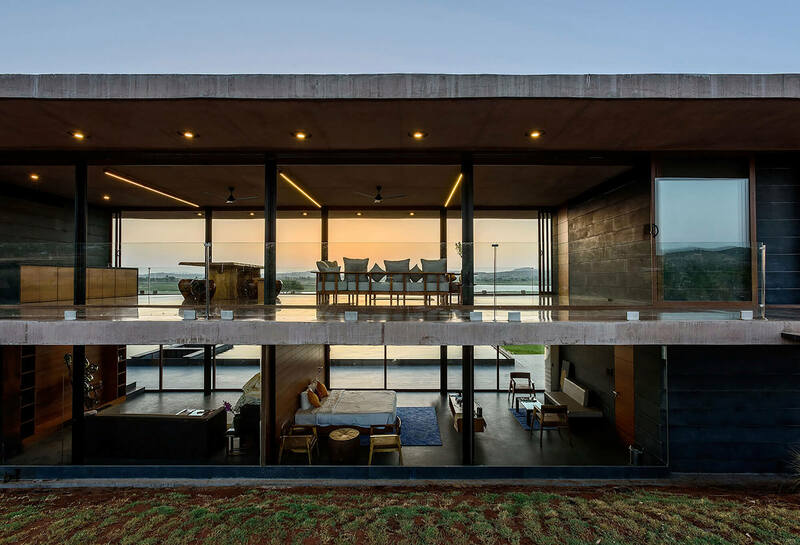 The house is only designed by 3 types of materials to maintain the purity of the space and to remove false impurities which have been at an increasing local trend at present. All of these have been achieved in a single R.C.C. slab, right from the polished concrete floor on the top to the ceiling pattern at the bottom. The materials are of utmost importance of this building. The building has been made with utmost care and with poetic beauty. 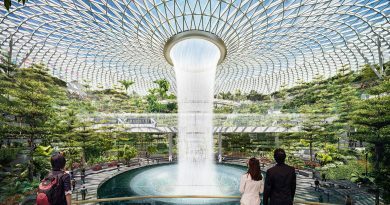 Architecture ultimately is the composition of real materials to come together and to form a space and hence materials are of utmost importance to compose this poem. As a child draws his mountains and with the sun in the middle, we try to put an effort to frame these prized moments towards infinity.